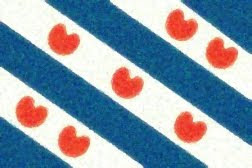 Fun With Frisian: EAT - "something"
Take responsiblty for and nurture something (i.e., take something under one's wing). Hoedzje is said with an "oo" vowel in "moon." The j is pronounced like an English -y- and the final syllable takes a schwa. HOO-dzyuh.